Grand India Tours & Travels is one of the experienced and reliable Tour and Travel Companies having its office in Varanasi, Uttar Pradesh. We specialize in organizing tailored India Tours for our clients. We also offer excellent travel related services such as Airline Ticketing, Car & Coach Rental, Cruise Booking, Hotel Booking and Travel Insurance to our clients to make their traveling more comfortable and pleasant. We also work as an efficient Event Organizer. We are engaged in organizing private and corporate events for our clients, according to their requirements. Services offered by us are highly flexible and make sure that clients are well satisfied by our services. We offer our services at the most affordable prices. 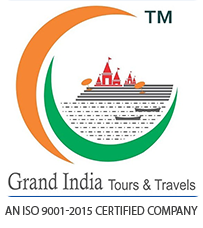 Grand India Tours & Travels was established in the year 1998, under the management of Mr. Amit Dwivedi who is the owner of the company. Under her valuable guidance our company has established a good name in the market. We are backed by a team of experienced employees, which work dedicatedly and design outstanding tour packages for our valued clients. We take care of every requirement of the client and offer them the best services. We believe in offering complete satisfaction to the clients and make sure that they do not face any inconvenience while traveling to different locations.